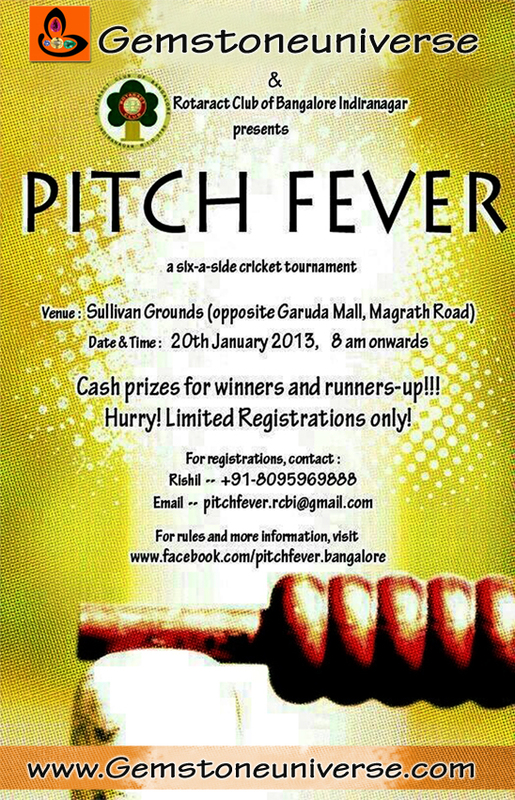 We shall showcase relevant industry news from now on through the blog. 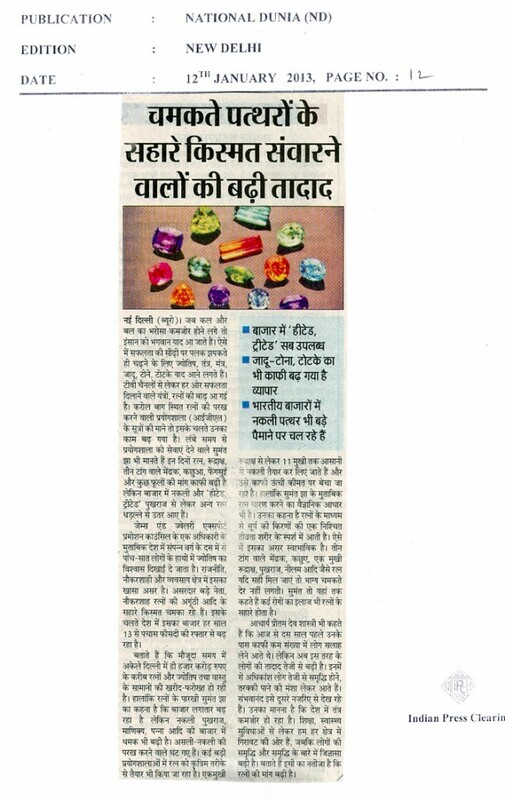 The following piece was published in the Hindi daily National Duniya on 12th Jan 2013 on page 12. Clicking on the image shall give you the full sized clip. For benefit of patrons who are not conversant with Hindi, the Gemstoneuniverse team has literally translated the piece into English. Quantum of People trying to get good luck through glittering Gemstones is increasing. Box CaptionsHeated, Treated Everything available in the marketThe business of magic, tona totka has also increased. When an individual starts losing hope on tomorrow and one’s own strength he takes recourse to God. To climb the ladder to success in an instant, One takes recourse to Astrology, Tantra Mantra, Magic etc. All across TV channels and several other places there is a flood of Yantras and Gems that bring success. Due to this reason in Karol Bagh , a Gem testing Lab-IGL has got increased business. Associated with the lab for a long time Sumant Jha admits that these days the demands for Stones, Rudrakshas, Three legged frog, tortoise and other Feng Shui Items has increased but heated and Treated Gemstones and other fake gemstones have come into the market. According to a source working in the Gem and Jewellery Export Promotion council(GJEPC), the faith in Astrology is seen in the prosperous and the well off segment of the society. Out of 10, at least -7 people are wearing Gemstones. Bureaucrats to businessmen are wearing Gemstones. Political leaders of considerable strength and repute to bureaucrats are sporting Gem studded rings to increase their fortune. Due to this reason the Gemstone market is growing any where from 13% to 50% per annum. 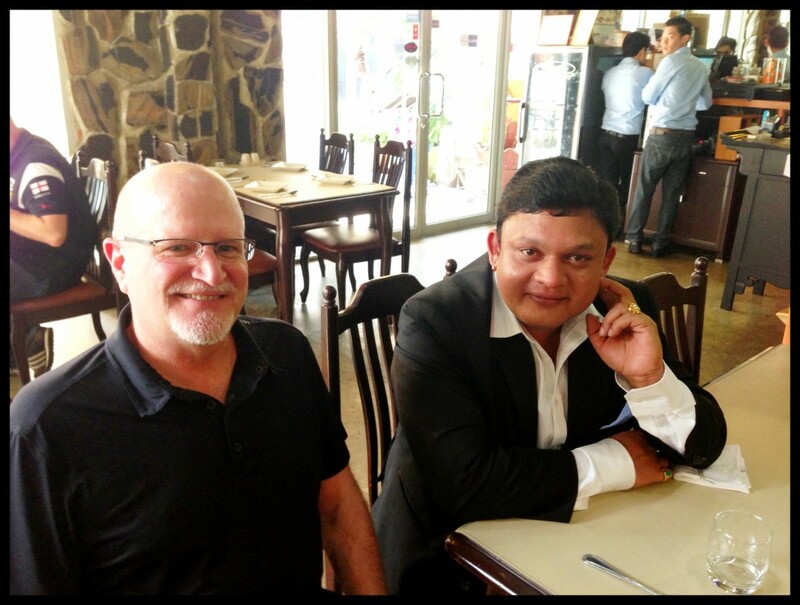 He says that in New Delhi alone the market for Gemstones and feng shui items is around 1000 crores. However Gem expert Sumant Jha states that even though the market is growing the presence of fake Yellow Sapphire, Emerald and Ruby is increasing. The numbers of experts who can distinguish a fake gem from an original are diminishing. In some labs Gem are being synthetically manufactured. Even 1 mukhi Rudraksha to 11 Mukhi Rudraksha fakes can be manufactured and these fakes are being sold at very high prices. 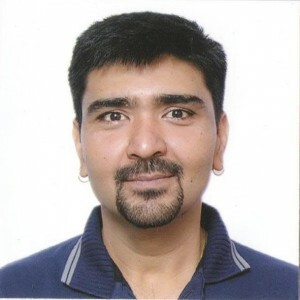 Sumant Jha states that wearing of Gems has a scientific foundation. 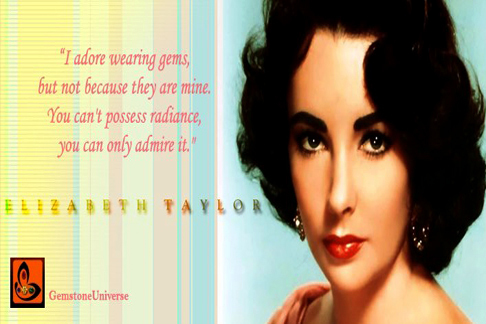 Due to gems the rays of the Sun can be harnessed at a rapid speed hence that the gem has an effect is Natural. Three legged frog, tortoise, 1mukhi Rudraksha and Gems like Blue Sapphire are original then it does not take much time to get good fortune. He even claims that Gems are used for treatment of medical conditions. Acharya Preetam Dev Shastri states that 10 years back people coming for consultations was quite less but the numbers of such people have suddenly increased. Most of the people have a desire to get rich fast or for getting promotion in career. Sambhavanand has a different take in on this. He believes that the system of the country is weakening. From Education, health care facilities to several areas are in a downfall but the desire of individuals towards prosperity has increased. This is the reason that the demand for gemstones has increased. The Saturn Venus combine or association is a formidable and a powerful combination especially in the ascendants ruled by Saturn, Venus and Mercury. Such a combination is capable of giving exceptional gains to the individual if harnessed properly. Saturn Venus and Mercury form a group of intimate friends in the Zodiac. Vedic Astrology and Planetary Gemology are very vast subjects and accurate analysis and prescriptions can yield powerful results and can help one overcome limiting conditions. Saturn Venus combinations become very relevant especially in the ascendants ruled by Venus- Taurus and Libra and the ascendants ruled by Saturn- Capricorn and Aquarius. In the classic treatise-Brihat Parasher hora shastra,Maharishi Parasher lists Saturn and Venus as the most power Yogakaraka (Planet capable of giving superlative gains) in these ascendants. Let’s analyse in brief why these planets become special in these ascendants. Taurus Ascendant: Ruled By Venus. In this ascendant Saturn becomes the most significant planet by virtue of owning a trine and a quadrant. Saturn in this ascendant becomes the lord of the 9th trine house of fame and fortune, divine grace, luck, long distance travel and the 10th quadrant house of career, profession, credit for good work and awards etc. It’s Gem should always be considered first in this ascendant. Libra Ascendant: Ruled By Venus. Again in this ascendant Saturn becomes the most significant planet by becoming the lord of the 4th quadrant house of assets, pleasures, land, vehicles etc and the 5th house of higher knowledge, exceptional financial gains, higher qualifications etc. Capricorn ascendant: Ruled by Saturn. Venus becomes the most powerful planet in this ascendant by owing the 5th trine house of higher knowledge, exceptional financial gains, higher qualifications etc and the 10th quadrant house of career, profession, credit for good work and awards etc. It’s Gem should always be considered first in this ascendant. Aquarius Ascendant: Ruled By Saturn. Venus again becomes powerful and a game changing planet in this ascendant. It becomes the lord of the 9th house of spirituality, fame and fortune, divine grace, luck, long distance travel and the 4th quadrant house of assets, pleasures, land, vehicles etc. In Case Saturn and Venus are posited in auspicious houses, in each other’s signs, are in conjunction or aspect each other then it becomes a combination that bestows exceptional success and gains to the individual. 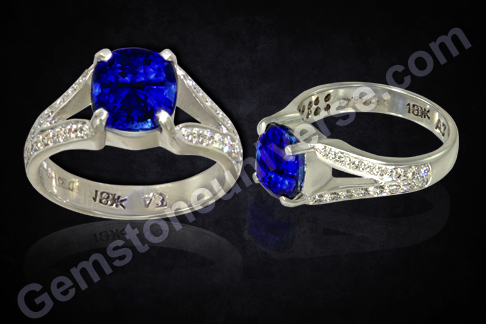 In such a case both Blue Sapphire and Diamond can be worn to enhance the results. Comments There are something’s that cannot be expressed in words. Today’s talismanic Blue Sapphire and Diamond ring is one such thing. Perfection personified! At the centre is a flawless unheated Blue Sapphire crystal of 4.13 carats from Sri lanka.The single outstanding feature is the color which is the top shade for Blue Sapphire. The delicate balance of hue, tone and Saturation give it the most sought after Royal Blue color with no other color. The color is making the gem very-very rare. To find these features in an unheated natural gem of 4+ carats is a feat in itself. See the uniform spread of color all through the crystal and a brilliant cut that heightens the play of color to give it a remarkable lustre and brilliance. The 32 pieces of round brilliant Diamonds with alluring lustre and flawless brilliance provides the contrast to the rich blue color and harnesses’ the powers of Venus. Sacred Secrets of Planetary Gemology-Choosing a Cat’s Eye based on position and association. Gem Therapy is miraculous as it holds profound secrets and it is the knowledge of these key secrets that bring in those promised key results. Sacred knowledge possessed by a lucky few and implemented correctly by even fewer people. Some of these secret tenets are so powerful that they are transferred by word of mouth in true Guru Shishya (Teacher Disciple tradition). Out of the nine planets that affect Human destiny as per Vedic Astrology only Rahu and Ketu do not have the lordship of any of the 12 signs of the Zodiac. Their results get influenced by the planets with which they are posited and the signs in which they are placed. Jyotish Gem selection for shadowy planets is a special skill that requires specialized knowledge and correct implementation. A greenish golden Cat’s eye is especially effective when Ketu is posited in the signs of Mercury- Gemini or Virgo or is posited with Mercury. In such cases when Mercury is the depositor of Ketu, Ketu acquires many of the characters of Mercury and when a Greenish Golden Cat’s Eye Chrysoberyl is selected you are assured of special and extraordinary results. Generally such combinations are seen based on special objectives of the individual. 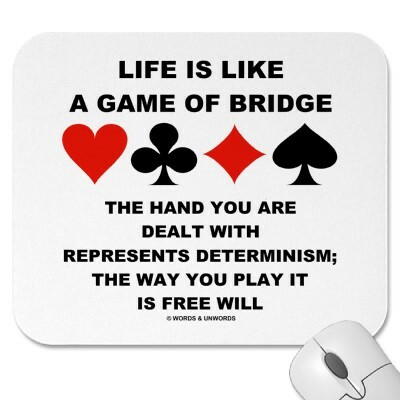 DESTINY vs. FREEWILL & the power to alter the karmic life map with the help of Jyotish gemstones. Karma is action. The choices one makes in life are Karma. For example if one is unwell, he has a choice to either go to a doctor or not. The act of going to the doctor is freewill, so even if it is destiny is to fall sick, it is freewill/karma to visit the doctor and overcome this sickness. So Karma can overcome destiny to a certain extent. Our karma or the choices we make everyday changes our destiny every moment. So in times of difficulty we have a choice to either put it down to destiny and accept these difficulties or take matter in our own hand and try to change the karmic life map using paths that are listed out in the ancient and sacred Vedic texts. 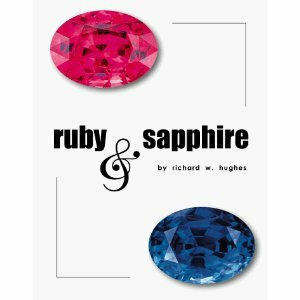 The ancient texts list out several paths to overcome difficulties in life, Adorning of gemstones is one of them. For the paths that are capable of altering the karmic life map click here. Destiny is forever changing based on the choices we make on a day to day basis. 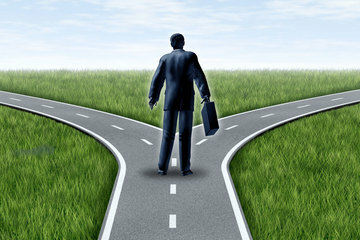 In all situations, life gives us a choice, and based on the choices we make, the destiny changes. One must also realize that most of us do not even fulfill our destiny because of the choices we make; thereby proving that destiny is subjective to the choices made by us. One can safely conclude that destiny is ever changing, and as per the sacred texts the only 3 things that are pre destined are-the time of birth, the partner for marriage and the time of death. Planetary Gemology is one such sacred science that offers insight into overcoming difficult situations and altering one’s karmic life map. To understand how this is possible it is important to understand a little about astrology. Let us go into the basics of astrology. A birth chart consists of 12 houses. There are 9 planets according to Vedic astrology. Aries and Scorpio are ruled by Mars. Taurus and Libra are ruled by Venus. Gemini and Virgo are ruled by Mercury. Cancer is ruled by Moon. Leo is ruled by Sun. Sagittarius and Pisces are ruled by Jupiter. Capricorn and Aquarius are ruled by Saturn. With the above only seven planets out of the nine planets own signs. The other two RAHU and KETU are shadowy planets and do not rule any sign. The planets are divided into two groups. It is important to note that each group of planets own six houses each. Since the ancient texts state that Ketu is like Mars, and Rahu is like Saturn, they are grouped accordingly. While analyzing a horoscope one must always remember that the owners of house 1, 5 and 9, which are trine houses and considered the most potent and auspicious houses in one’s horoscope, are considered the most potent planets. And no matter what the ascendant any one group, either group 1 or group two, will own these planets. That is to say that if the ascendant or house number 1 is owned by say Mars, then houses 1, 5 and 9 will belong to the group that has Mars that is the first group. Let us analyze this by ascendants. In the Aries ascendant, the 1st house is owned by Mars, the 5th house is owned by Sun and the 9th house is owned by Jupiter. Note that all the 3 planets belong to the same group. In the Taurus ascendant, the 1st house is owned by Venus, the 5th house by Mercury and the 9th house by Saturn, again all the three planets belonging to the same group. In the Gemini ascendant, the 1st house belongs to Mercury, the 5th house by Venus and the 9th house by Saturn. In the Cancer ascendant, the 1st house is owned by Moon, the 5th house by Mars and the 9th house by Jupiter. In the Leo ascendant, the 1st house is owned by Sun, the 5th by Jupiter and the 9th by Mars. In the Virgo ascendant, the 1st house is owned by Mercury, the 5th house by Saturn and the 9th house by Venus. In the Libra ascendant, the 1st house belongs to Venus, the 5th house to Saturn and the 9th house to Mercury. In the Scorpio ascendant, the 1st house belongs to Mars, the 5th house to Jupiter and the 9th house to Moon. In the Sagittarius ascendant, the 1st house belongs to Jupiter, the 5th to Mars and the 9th to Sun. In the Capricorn ascendant, the first house belongs to Saturn, the 5th to Venus and the 9th to Mercury. In the Aquarius ascendant the first house belongs to Saturn, the 5th to Mercury and the 9th to Venus. In the Pisces ascendant the 1st house belongs to Jupiter, the 5th house to Moon and the 9th house to Mars. From the above analysis one can understand that in all the cases the trine house lords belong to the same group. No matter what the ascendant is, the group that owns the three trine houses, i.e. the 1st house, the 5th house and the 9th houses will own 6 out of the 12 houses in a horoscope. This shows that 50% of life is taken care of by the planets that are favorable in a horoscope. This is where the Vedic science of Astro-gemology comes into play. BY strengthening the favorable planets by wearing their respective gems, one can empower them to fight against the malefic and negative effects of the unfavorable planets. 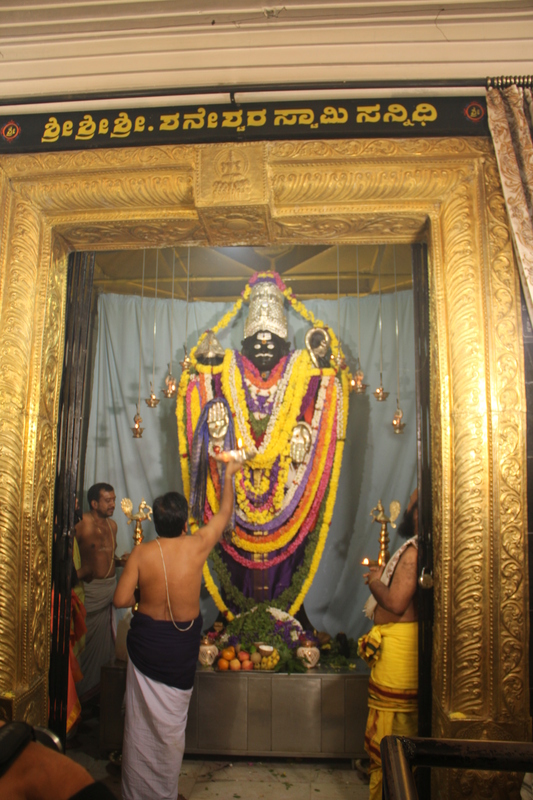 For example, during the Major period of planets that are unfavorable in one’s horoscope, one should strengthen the Lagna lord, or the lord of the ascendant house, which will ensure protection during these malefic periods. 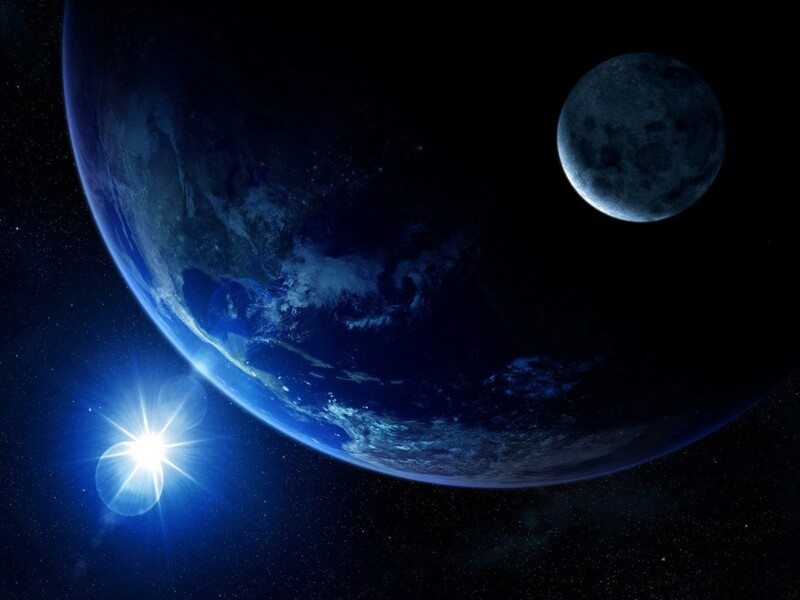 There are even cases, where even though the planets of the trines are strong, but the DASHA or Major period is one of the enemy group, and the planet whose dasha is operating is placed powerfully, in such cases even gemstone of the planet can be considered, although after careful analysis by a competent Astro-gemologist. Through the help of astrology one can understand that although certain aspects of life are decided by the Gods at the time of birth, God has also empowered us with free will to make choices in life that can overcome many difficulties through the adorning of favorable gemstones. For gemstones to work, the most important conditions are that the gems have to be fully natural, unheated and untreated and should be free of the flaws mentioned in the ancient texts. For a detailed insight as to why gems do not work for more than 90% of the people click here. And for a clearer picture on how gems work click here. 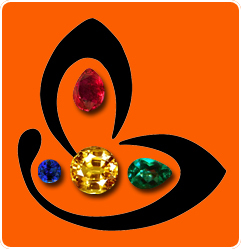 And what aspects your gem should fulfill click here. So what are you waiting for? Make the choice to alter your Karmic life map with the help of the ancient Vedic science of Astro-Gemology and create your own destiny! Can people with 8th house Mercury wear an Emerald? The 8th house in Vedic Astrology is generally considered an inauspicious house that delivers adverse results. Among many other things connected with the 8th house are losses, accidents, end of longevity, obstacles but also are capacity of investigation into secret knowledge, acquisition of occult powers, capacity to follow a tough and an a consuming spiritual regimen, development of 6th sense, treasures from underneath the earth. The single planet capable of giving good results in the 8th house contrary to what is written; copied and pasted numerous times is Mercury- The planet of business, finance, intelligence and communication. We have statistically observed over the course of many years and analysis of several charts that if Mercury is posited in a good sign or is with a significant planet it gives very good results. Mercury makes the individual a sharp witted individual and an investigator. If Mercury receives the aspect of the 5th lord or aspects from Venus or Jupiter, Mercury blesses the individual with occult knowledge, can make one an expert numerologist, astrologer etc. It also blesses the individual with a keen sense of observation and blesses the individual with proficiency in Mantra, Tantra and other occult streams. Mercury in 8th position also gives success in forging business partnerships. Mercury is a Key and Significant planet for the Gemini Ascendant as it becomes the ascendant lord which controls all health matters and personality and the 4th house of real estate, pleasures, mother and comforts in life. Being the lord of two quadrants it has directional weakness and hence needs to be given strength. If it is posited in the 8th house it shall be posited in the sign of Capricorn which is ruled by its intimate friend Saturn. 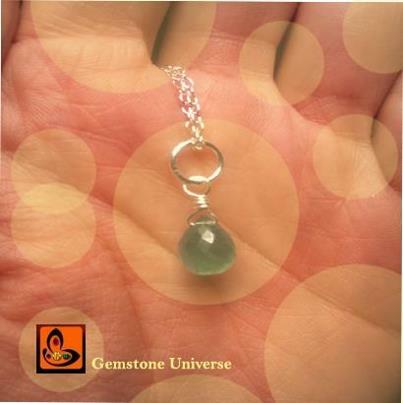 As stated earlier Mercury shall give good results one can wear an Emerald throughout life. In Virgo ascendant again Mercury is a Key planet as it owns the ascendant and hence health matters and personality and the 10th house of career and profession. Both these quadrant houses give it directional weakness and because it is a key planet it needs to be given strength. If it is posited in the 8th house it shall be in the house of its enemy Mars but still mercury shall still over ride Mars and should specially be considered for giving strength by wearing an Emerald if Mercury major period or Mercury sub period is in operation. 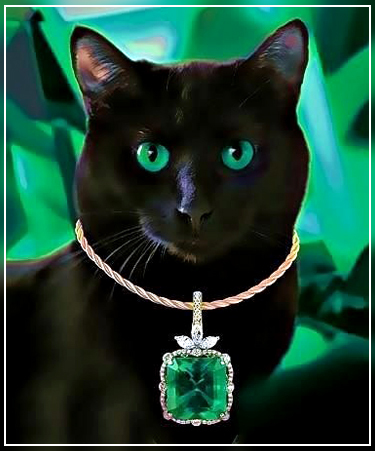 Comments Featured today is a true Jyotish quality Emerald. Pulsating with a rich summer grass green color that is spread evenly throughout the crystal it has an amazing clarity level of above 90% which is a rarity in natural Emeralds. From the mines of Colombia with the features described above and with a weight 4.60 carats it is a privilege to own such a gem. It is gems like this that deliver the promised results only Jyotish Gems are capable of. Perhaps one of the most complicated, pressure creating and trying transits among all planetary transits is the Sade Sathi –The Seven and half year Saturn Cycle. The Saturn cycle starts when Saturn enters the 12th position from the natal moon and operates till Saturn exits the sign second to the moon. 1) Lack of Direction and drive. 3) Pertinent delay even in small tasks. 4) Running Pillar to post. 5) Ill Health and aches and pains. Especially in Back, Knees and areas below the knees. 6) Weak Gastric system and problem of acid reflux. 7) Test of relationships and pressure on interpersonal relationships. 8. Lack of recognition and ill repute, being blamed for false things. 9) Lack of opportunities for career growth. 10) Lack of wealth and increase in debts Karmic as well as Material. Individual results shall vary as per Saturn’s position in the horoscope. Even though there are remedial measures to pacify Saturn many errors creep in the Karmic Life Map and hence the individual gets little to no relief. In many such cases we have observed that if an individual wears a Jyotish Blue Sapphire that is free from any flaws as indicated in the sacred texts and advised after accurate analysis of the horoscopes, the positive results are very forthcoming. 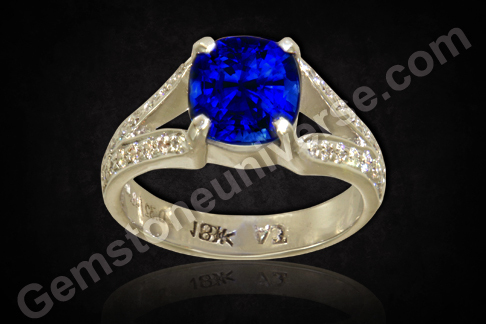 The relief is felt almost instantaneously by the grace and blessings of Lord Saturn through the Blue Sapphire. 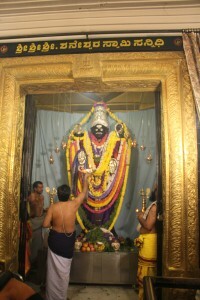 The 12 feet high Imposing idol of Lord Saturn at Shri Shaneeshwara Swamy Sannidhi, Rajajinagar, Bangalore, India. 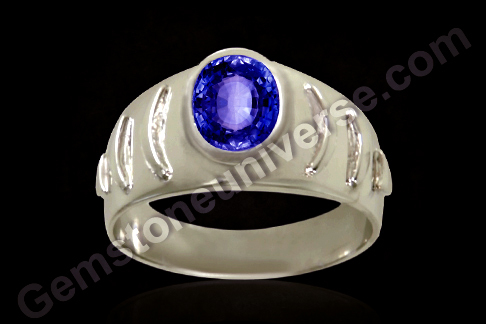 Gemstoneuniverse was commissioned to find a special Blue Sapphire for the crown of Lord Saturn. More about this can be read here. 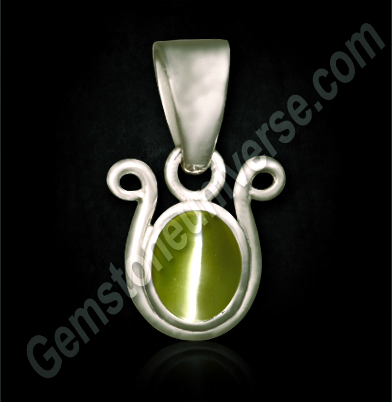 Rare & Perfect Chatoyant Band in this Royal Cat’s Eye Chrysoberyl Pendant-A Charm of the ancients! The Ceylon cat’s eye featured today is a fully natural and treatment free gem of 1.87 carats set in sterling silver, as a Ketu talisman pendant. 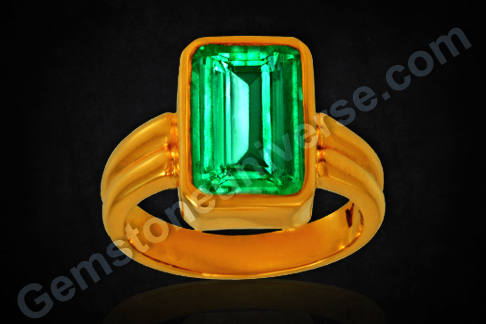 The gem is a lovely translucent golden green in color and is a cabochon gem displaying excellent chatoyancy. 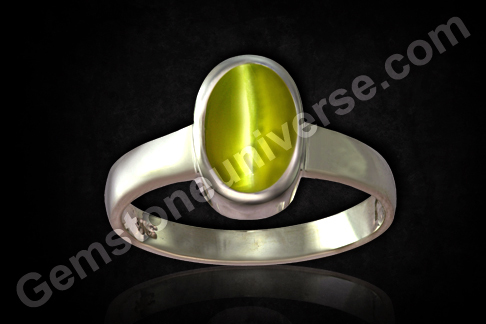 Cat’s eye or vaidurya/ lehsunia is the gemstone of Planet Ketu or the South Node of the Moon. The Band becomes even more striking because of the rich golden color this Natural and Untreated Cat’s Eye from Sri Lanka possesses. Sitting majestically in the sacred Ketu symbol this charm of the ancients has fascinated humankind since eons. 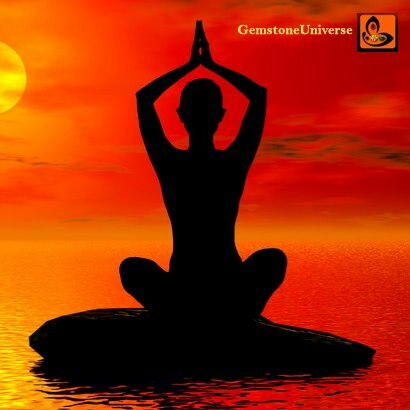 Enjoy the power of the Jyotish Gems to heal and bring the desired changes in life. 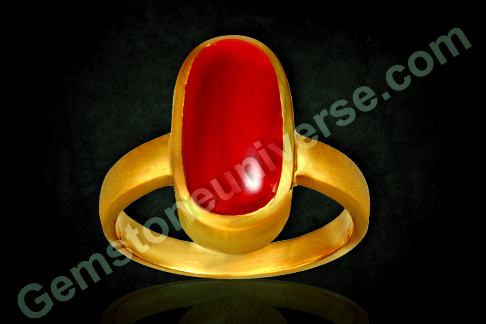 Comments The planet Mars in Vedic Astrology is known as Mangal and its gemstone is Moonga or Red Coral. Featured today is a fully natural and organic Jyotish Red Coral. All of 5.17 carats this red coral has a nice medium Mediterranean ox blood red color. Highly polished to give a mirror finish this oval coral has a fantastic spread.To understand that rarity of Organic Corals digest this fact- Coral Reefs live in just 0.1% of world’s ocean but they are the home of 25% of all marine species. Jyotish Quality Red Coral should be fully organic with no fillers or dye to deliver the promised results of a Jyotish Gem.